The Vend Bundle 1 is 100% Apple Mac and PC compatible. Vend needs very specific hardware to operate properly. 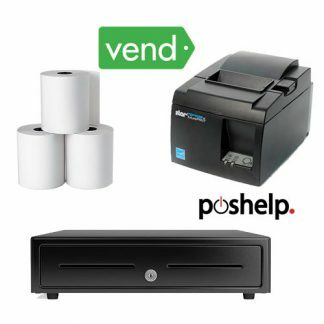 We’ve taken the stress out of choosing the right POS gear by hand picking vend approved equipment and packaging it up for you. Cash Drawer – Retail tough, Steel steel cash drawer. The cash drawer insert is included for free. 1 Box of 80mm x 80mm Thermal Register Rolls – Even the most advanced POS system stops without paper. Great entry level equipment for store owners just starting out. Add this bundle to your existing PC or Apple MAC and you have a complete point of sale system. USB printers are not for iPad users as iPads don’t have USB ports. 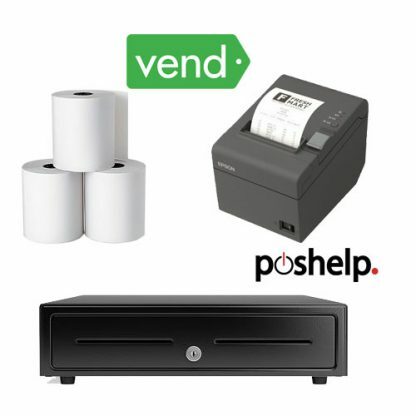 You need Vend POS bundle 3 for iPad applications.